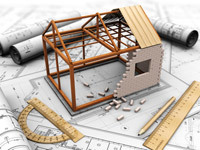 Planning a new house or the redesign of the current one is always a great event! 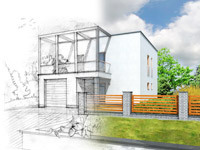 In order that you can bring all your ideas to life before actually starting to do the work, you should use one of our house planning programs, the perfect tool to let you see what it will look like when finished. Our collection includes several free online home planners and also some that can be downloaded, all of which deliver good results. However, if you wish to do an accurate design of your home it is important to obtain a detailed, to-scale representation to plan from, and you may wish to use a professional-level piece of software to provide this. 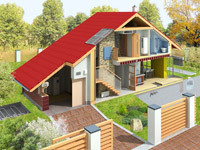 With an online home planner from this collection you can produce a plan of your house freely and rapidly. You simply enter the information about room heights and floorplans and the house planner will create a model of the house that is to be built or modified. You can also add details like the roof shape and then, with some of the programs, you can save the plan as a separate file to be printed or attached to an email. These programs produce a very quick and easy way to get a 2D or 'flat' design of your floorplans and where your partition walls, stairwells, etc will be. With the right 3D house planner you can also add colour and form to the vertical items like walls, doors and windows as well as getting a realistic three-dimensional view of the whole building. These house designer software programs offer extensive possibilities for preparing your home designs while enabling you to work offline on your home computer. It is very important, when planning the redesign or build of an entire house, to make sure that everything actually works as you want it to, and any mistakes can be corrected before the work is started. With a good 3D house planner you can quickly and easily change everything from floor plans to stairwells and roof tiles. You can also put together several different designs so that you can compare them when talking to the architects and make sure that any potential problems are easily avoided. Have you found another house planner, or is there one on your website, whether online or downloadable? If so, then send us details and a link so that we can add it to our collection. House Planners0 out of 51 based on 0 voters.